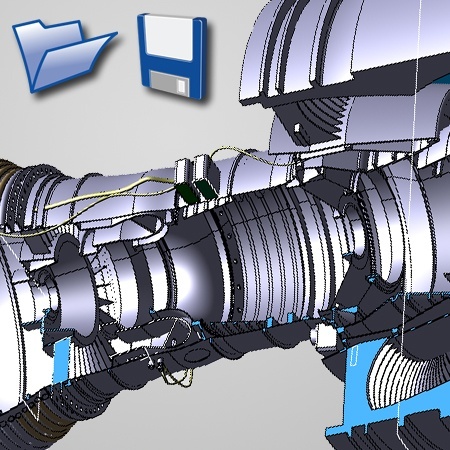 History-free modeling allows the user to work on any geometry as though it were created natively. 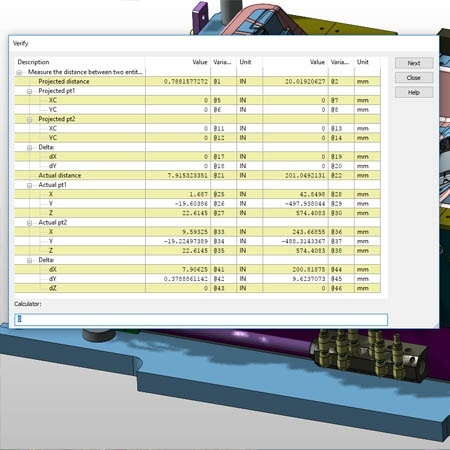 It’s the ability to edit and create a model independently of history or parametric feature information. 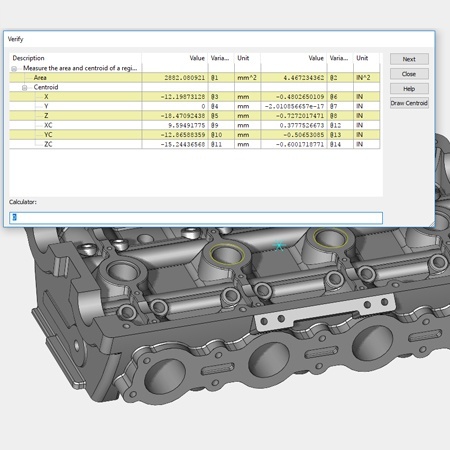 Feature discovery is the ability to mouse over the various faces on a solid model and detect "features" like blends, chamfers, pockets and bosses. 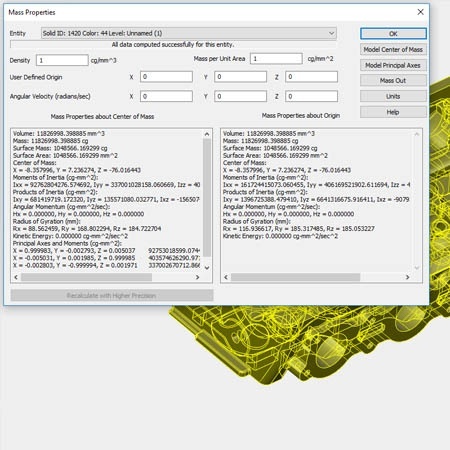 It's a critical part of the direct editing tool set as it allows the user to easily select topological conditions that would otherwise be defined by a feature in a history based system. Dynamic face editing is the ability to use history-free face edits on any solid using the DynaHandle to execute the edits by dynamically dragging and positioning faces. 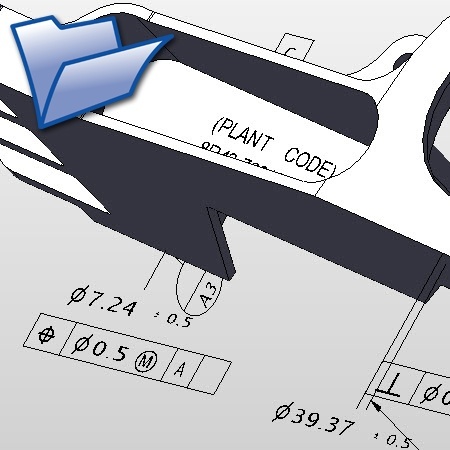 Dimension driven edits let the user edit a solid model by defining a driving dimension then editing the model by changing the dimensional value. 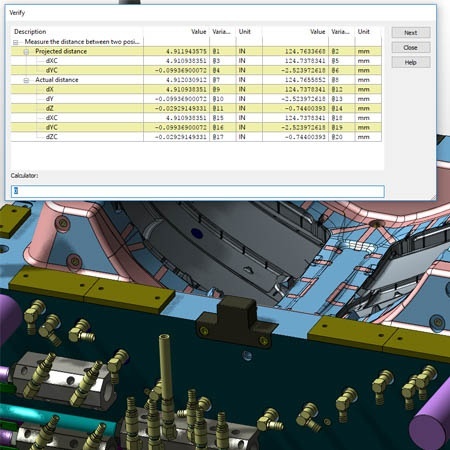 It is different from history based dimension editing because once edits are made, they are no longer dependent on the dimension, therefore the dimension can be deleted without limiting the ability to make further edits to the model. 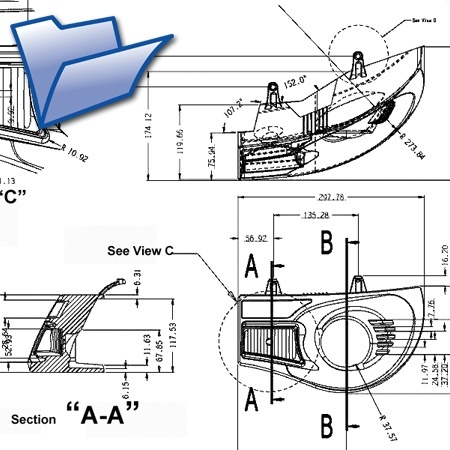 Hybrid design is the ability to use history-free wireframe, solids and surfaces to achieve a final design result. 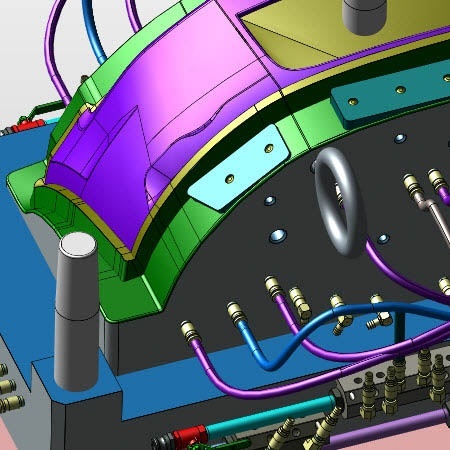 Hybrid modeling is especially useful when complex edits on solid models are required in the absence of defining history and parametric information or when in-context modeling for manufacturing tooling requires the decomposition and repurposing of a design. 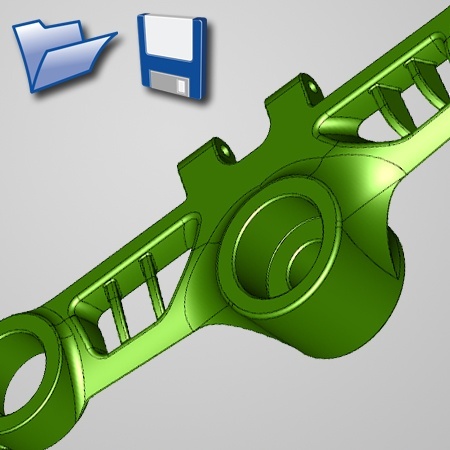 Hybrid tools can be used to alter the topology of a model and make difficult changes. 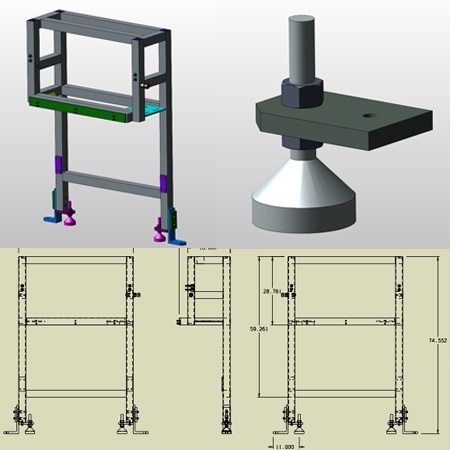 Mature, non-history based solid modeling and editing tools designed to deal with geometry from any source. 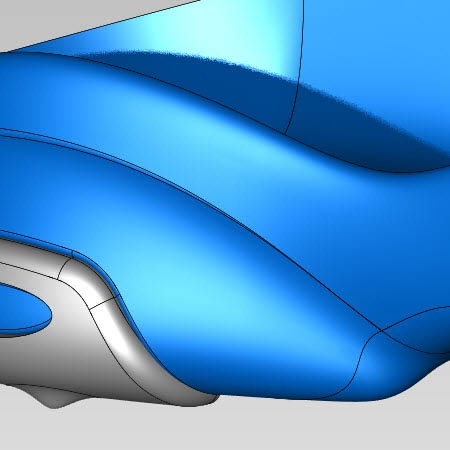 Precisely design complex, organic shapes using free-form surfaces. 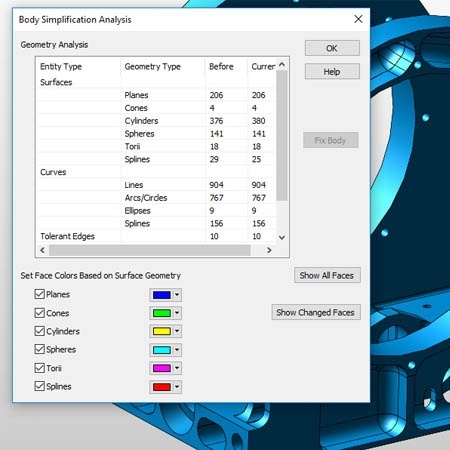 Create 2D and 3D profiles and curves that are used for defining solid features and free-form surfaces. 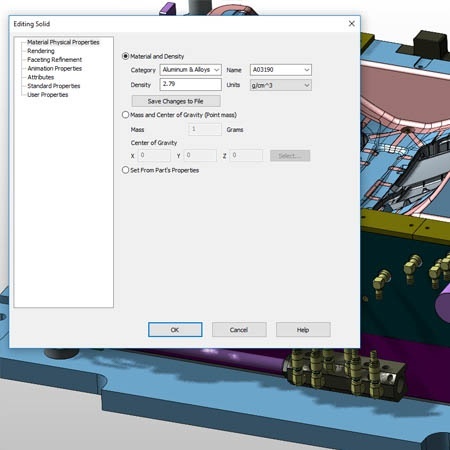 KeyCreator provides unparalleled power in quickly positioning construction planes to locate profiles in 3D space exactly where they are needed. 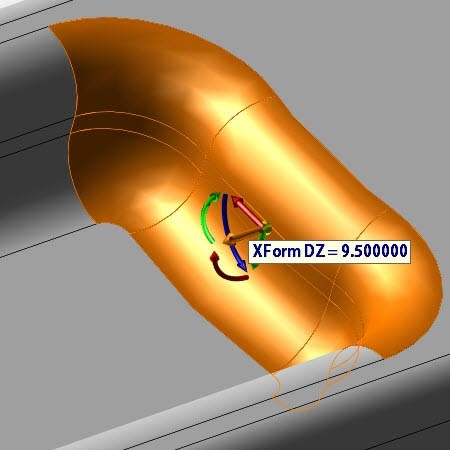 Easily model features within the context of mating parts or geometry without the complex dependencies or history of other systems. 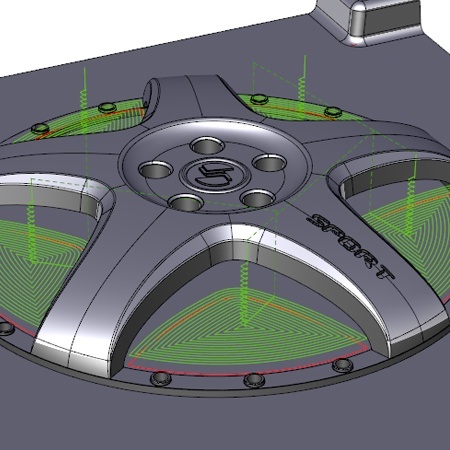 KeyCreator uses the existing mating geometry to shape a new design or feature, making it a very powerful in-context modeler. 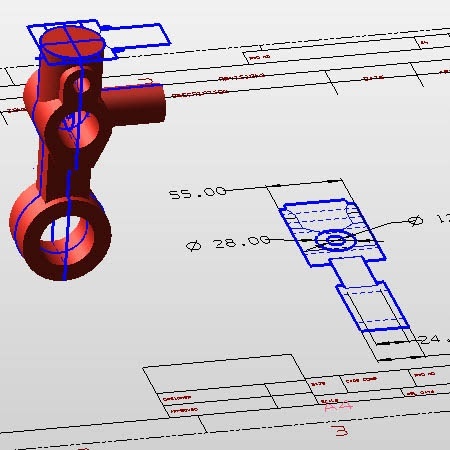 KeyCreator provides traditional 2D CAD drawing tools for creating and editing engineering drawings. 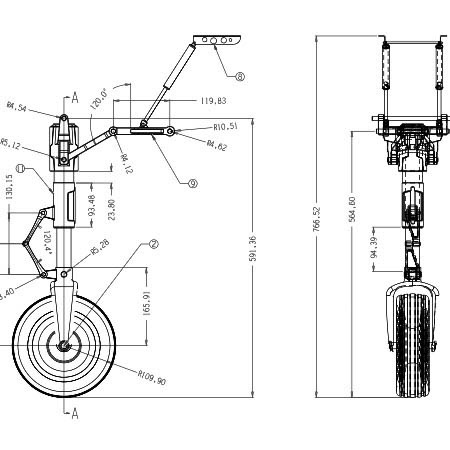 A complete set of dimensions, details, and symbols support mechanial drawing standards from around the world. 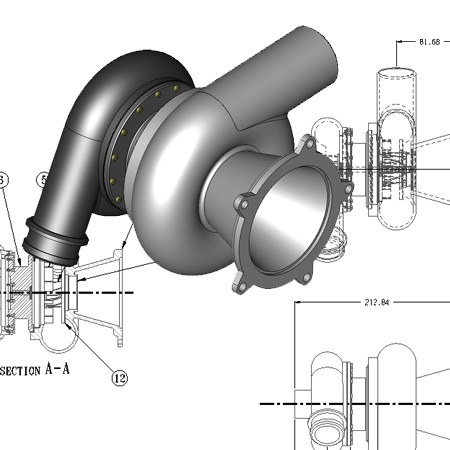 Create a solid model by using 2D orthographic views from an imported engineering drawing. This process is streamlined in KeyCreator, requiring no history or feature dependency. 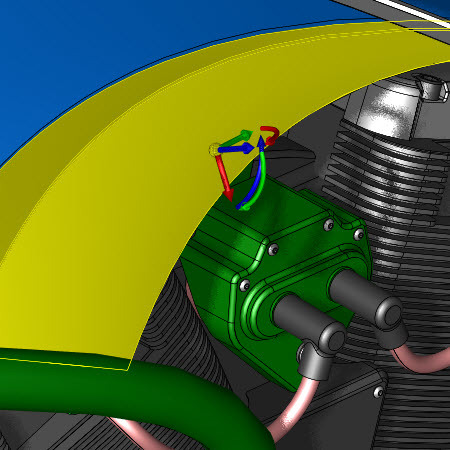 View instances of 3D models can be detailed and changes to the models are automatically updated in their associated layout drawing. 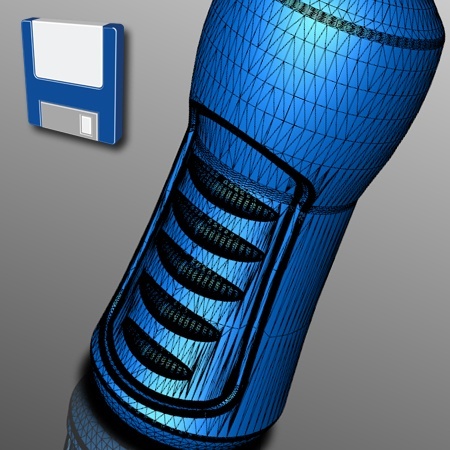 Generate surfaces tangent to or at a draft angle from existing surfaces, or projected from a set of curves. 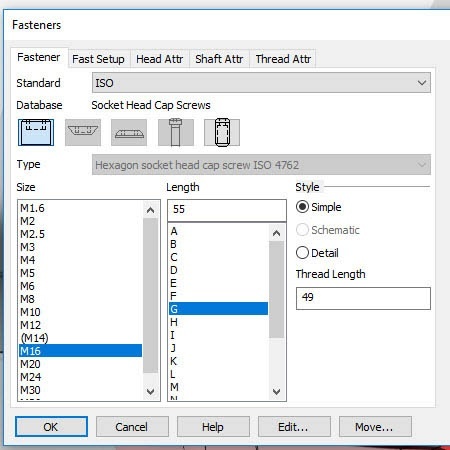 Generate standard mechanical elements, structural elements, and fasteners based on industry standard sizes, fits, and functions. 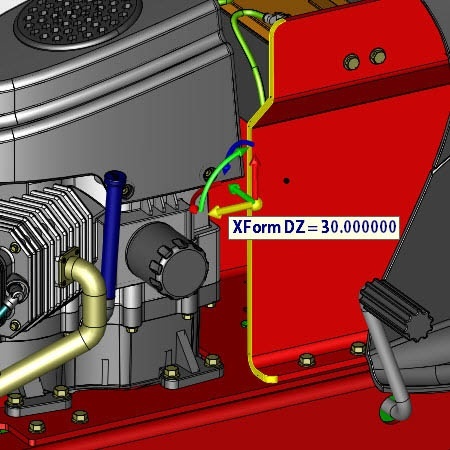 KeyCreator's unique CKD file format is flexible enough to allow parts, assemblies and their associated drawings to be contained either within the same file or in different files. The user can adopt the file management scheme that best suits their requirements. 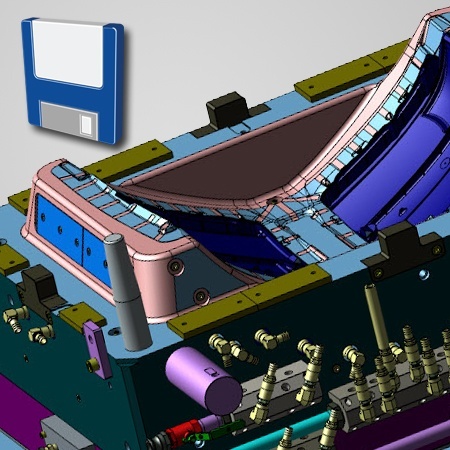 For prototype or small assembly design, KeyCreator can use a level-managed approach which allows the user to do in-context assembly modeling with all parts residing in a single level-managed design file. 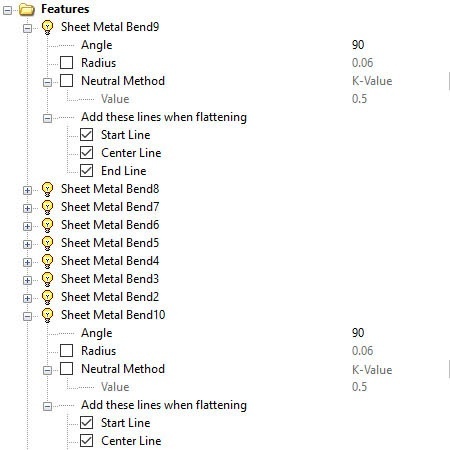 This method enables a far easier initial design process, when frequent changes to both the component features or selected components occur. Distributing an assembly across multiple CKD files using part references is important strategy to reduce memory usage of large assemblies. 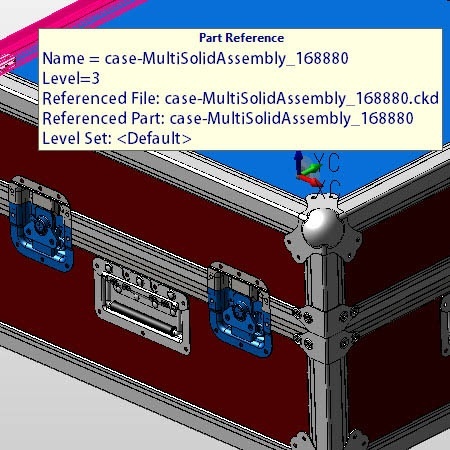 KeyCreator has the flexibility to gradually transition a design to references as needed, either organizing into a few sub-assemblies or pushing fixed/purchased components out as references. 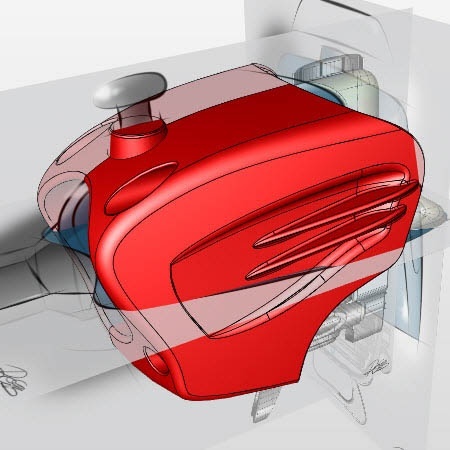 Ability to animate assemblies and perform motion studies with collision detection. 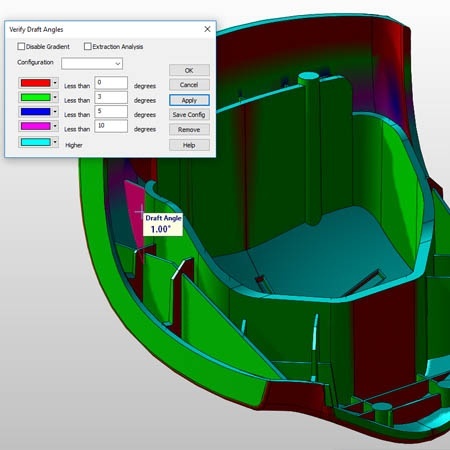 Hybrid editing is the ability to supplement direct face editing of solids with the use of surface and wireframe modeling to achieve a final design result. 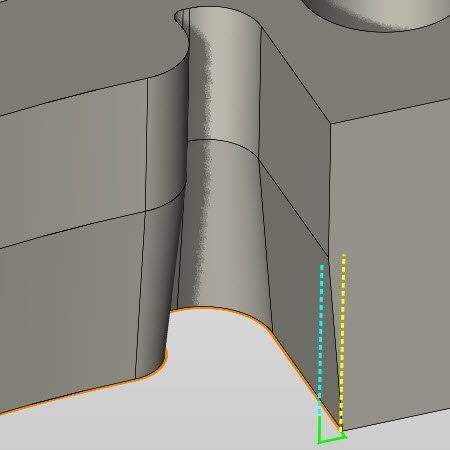 Some complex edits on models require decomposition of solids into surfaces and curves, rebuilding that local area, and stitching the surfaces back on to re-form a closed solid. 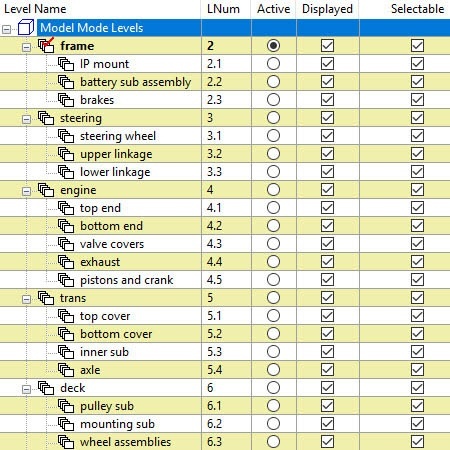 These tools allow ANY edit of a model to be achieved and mean no model ever needs to be rebuilt from scratch. 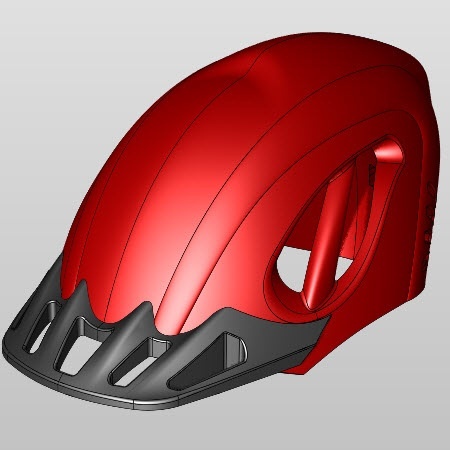 Topology modification allows the user to remove and replace the individual faces of a solid model for hybrid modeling or add edges within a face for decals, exclusion zones, manufacturing, or analysis applications. 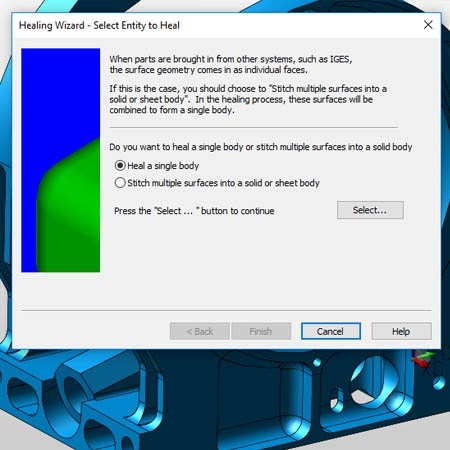 Ensure the quality and status of a model to support surface modeling, topology modification, and model repair. 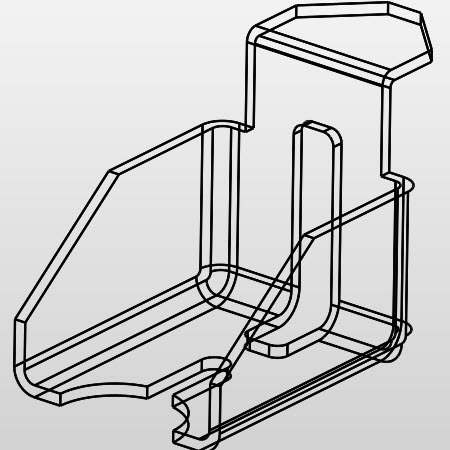 Simplify imported geometry by changing the math basis of all faces of a solid model to its simplest form. E.g., changing a spline face to a planar face. Simplification "lightens" a model and provides more flexibility to the model’s ability to be edited using face editing tools. 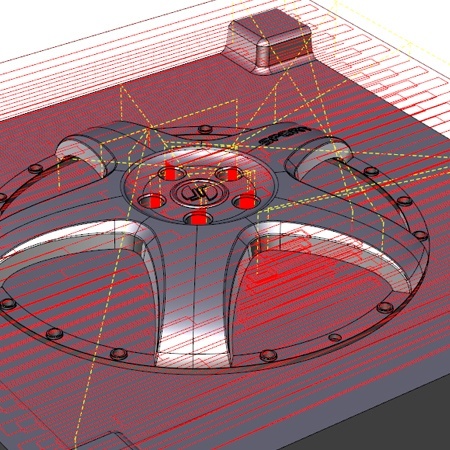 Automated repair of any damaged solid, usually due to translation, into a useable, closed solid. Calculate the volume, center of mass, moments of inertia, etc. of bodies and assemblies. 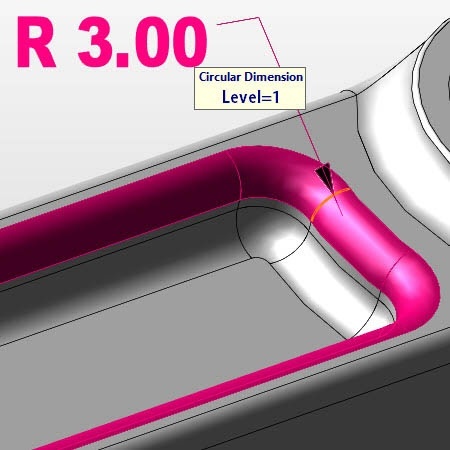 Measure distance between two positions, curves, or faces, or minimum and maximum distances between entities. 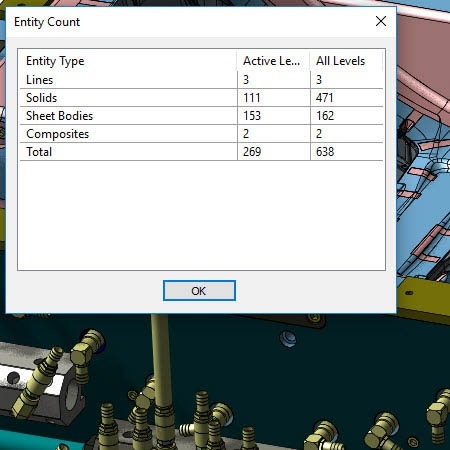 Calculate the distance deviations between various types of entities. 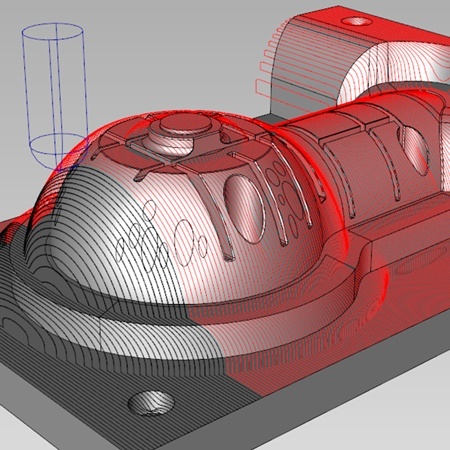 Perform a draft angle or mold extraction analysis on a model based on a defined draw direction. 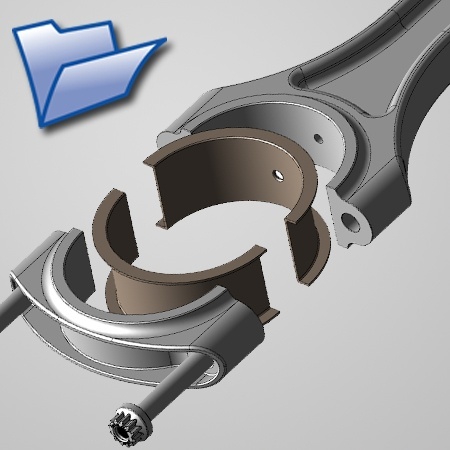 Find intersecting areas on assembled models and graphically display those intersections. Convert sets of selected files from any supported import format to any supported export format. 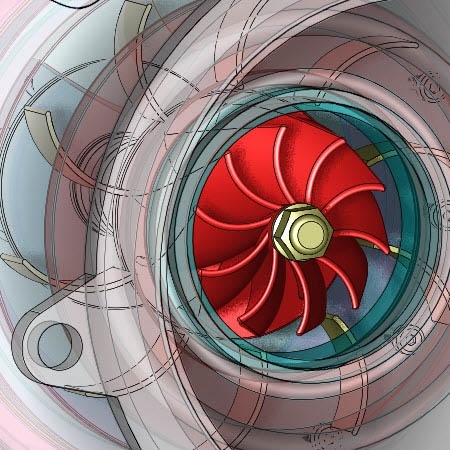 Import drawing files from the native formats of major 3D CAD programs. 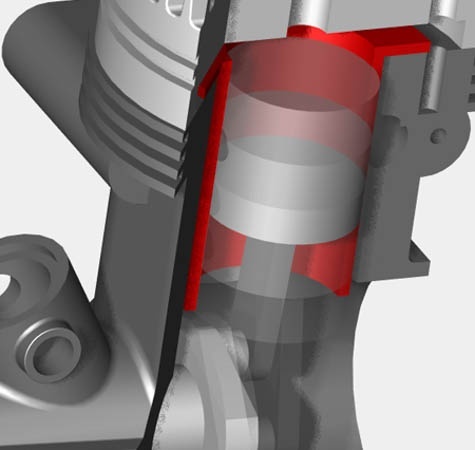 Read Product Manufacturing Information (PMI) including 3D geometric tolerances from the native formats of major 3D CAD programs. A complete drilling solution with a full spectrum of drilling cycles: spot, peck, boring, tapping, and canned, as well as user defined cycles. 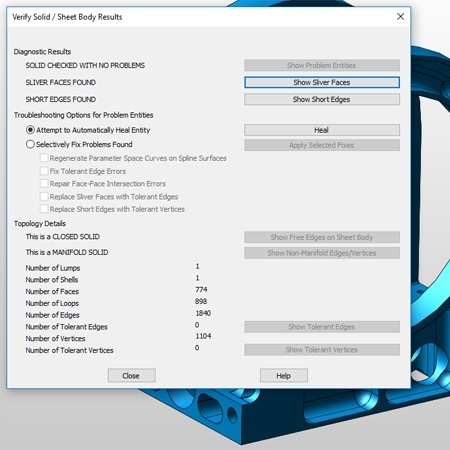 Generate multiple 2- and 2.5-axis pockets in a single toolpath, with the option of defining top and depth for each contour or island. 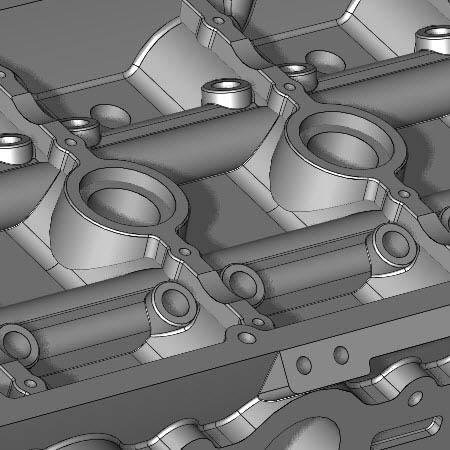 Comprehensive 2D Contouring including various approach & depart strategies, finishing and roughing with multiple steps in XY and Z. 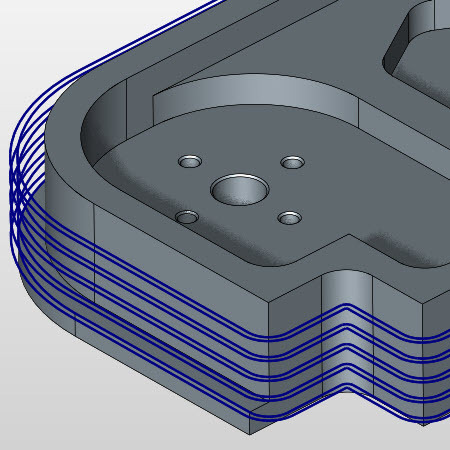 3-axis multi-surface roughing strategies include Z-level contour (with spiral or ramp-down options), Zig-Zag, Uni-directional, and Follow surface. 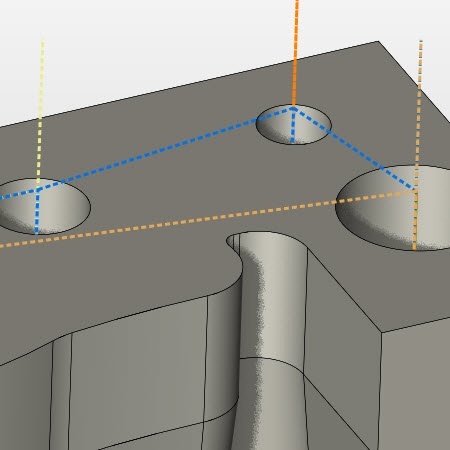 3-axis multi-surface finishing strategies include Planar, Radial, Plateau, UV Flow, Pencil tracing, and Convert geometry to toolpath. 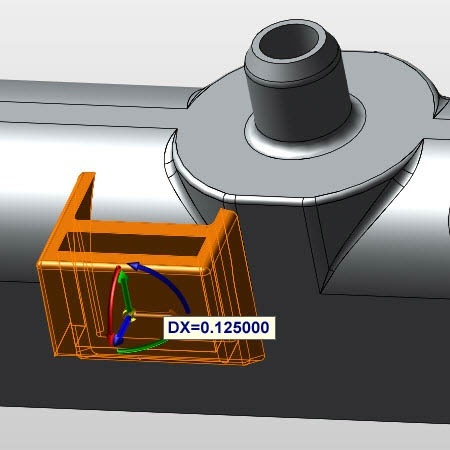 2-axis Wire EDM toolpath generation works with or without constant taper, supports open & closed profiles, and “Turn then Burn” capability for rotary/indexing.